As President Donald Trump prepares to attend his second United Nations meeting next week, world leaders are bracing for another round of confrontation with the U.S. over Iran, global trade and Trump's "America first" view of foreign policy. A year after he shocked his counterparts by threatening to "totally destroy" North Korea in his inaugural U.N. address, Trump is expected to use a series of speeches to push a hard line against Iran. Part of his mission will be to persuade skeptical allies to back his decision four months ago to yank the U.S. out of a controversial deal to limit Iran's nuclear program. Senior aides say the president will also reaffirm the idea of sovereignty as a guiding principle of U.S. foreign policy – a message sure to play better with voters in battleground states ahead of the November midterm elections than with the diplomatic corps gathered in New York for the annual session. Trump will use other venues to push foreign leaders to take a stronger stance against the global drug trade and will implore the world to focus on the spread of nuclear and chemical weapons, the White House said. He will meet with South Korea President Moon Jae-in, Israel Prime Minister Benjamin Netanyahu as well as the leaders of Egypt, France, Japan and the United Kingdom. After last year's meeting led to an insult-trading tiff with North Korea's Kim Jong Un that elevated tensions, the bombast subsided and the two leaders met in Singapore in June. Many in Trump's administration acknowledge Kim is still developing nuclear weapons, but Trump notes that the rhetoric has cooled. Kim is not expected to attend next week's UN meetings. Whether Trump will be able to make progress on other U.S. priorities this year is an open question. The White House backed down from a plan to make Iran the centerpiece of a Security Council meeting Trump will chair Wednesday, instead broadening that conversation to deal with weapons of mass destruction. But that will still leave Iran, along with North Korea, in the spotlight. Richard Gowan, a senior fellow at the United Nations University think tank, said other world leaders have “a pretty dim view of Trump,” but they also don’t want to risk a public blow up with the United States. Those same leaders witnessed the spat over trade between Trump and Canadian Prime Minister Justin Trudeau following the G-7 meeting in June as well as the friction that played out when Trump met with allies at the NATO summit in Brussels a month later. Haley defended the administration's approach. "I don’t expect all countries to love how we are but that’s because we’re taking our country back — and the message of our country back — and we’re not apologizing for it," she said in an interview with Fox News on Thursday night. That dynamic may be particularly pronounced on Iran, where Trump will seek to convince allies that there is no way to salvage the 2015 deal without U.S. involvement. The White House has vowed to ramp up the economic pressure on countries and companies doing business with Tehran. Haley and other administration officials want the Security Council to punish Iran for alleged violations of international nuclear nonproliferation resolutions. 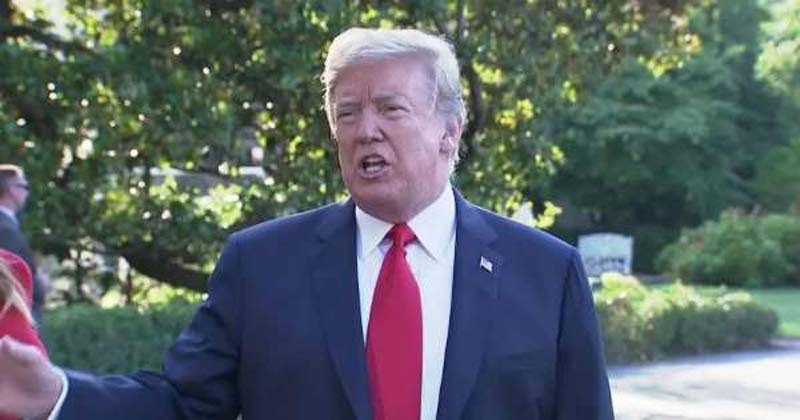 Trump made withdrawing from the Iran agreement a key element of his campaign, and next week’s meeting will represent the first United Nations session since he made good on that pledge. Leaders of the five other nations — China, France, Russia, United Kingdom and Germany — that signed onto the deal are working to save it without U.S. involvement. Also hanging over the gathering is whether Trump will meet with Iranian President Hassan Rouhani. Trump has indicated he's open to a meeting but aides say the president is not actively seeking one. Trump will address the session on Tuesday and will chair the Security Council discussion on non-proliferation on Wednesday. Ned Price, who served as a top National Security Council adviser to President Barack Obama, predicted there will be a set of parallel talks, outside the formal sessions, aimed at softening or blocking the Trump administration’s foreign policy agenda, from its funding cuts to the U.N.'s Palestinian refugee aid program to its withdrawal from the Paris climate agreement. “The story of this General Assembly will be the isolation of the United States," he said.